When people feel empowered they are more productive. It’s an unsurprising conclusion. The Harvard Business Review blog picked up on this theme when commenting on a global study conducted by Gallup of 600,000 employees. Leadership support, recognition, constant communication, and trust were essential to creating a thriving environment where front-line employees felt they had the autonomy to make a real difference in the organization. Most people equate ‘positions of power’ as meaning there has to be someone beneath them, when it’s really about giving people the power to act on their judgment. It doesn’t matter what position they hold – janitor, barista or finance director. If people feel that they can make calls, they actively look for ways to make improvements that make the entire team, and business, stronger. Same thing occurs in sport. On the flipside, people lose interest in highly structured environments, where every single decision has to be run past someone further up the chain. The bravest employers and coaches are happy to take the risk that mistakes will be made and learnt from. They then get the benefits of having an engaged team. Micro-managers get to keep control, only to watch on as the exit door keeps swinging open. The All Blacks – All Blacks coaches are big on planning, but even bigger on backing their players to change the game when the moment requires. During the 2011 World Cup final against France the team did exactly that. Instead of kicking deep as instructed, the players, sensing a counterattack threat, decided to back themselves. They maintained their discipline and defended the middle of the park in penalty goal territory. They won by a sole point in a nail-biter game. The Ritz Carlton – The Ritz-Carlton employs the policy that every employee can use their judgment to spend up to $2,000 on the spot to improve the stay of any guest. By empowering every staffer to deliver for every guest, The Ritz-Carlton has ensconced itself as a Lovemark in the highly competitive hotel market. Google – The software gurus have a whole suite of initiatives at their disposal, including flexible work days and creative spaces. Then there’s ‘Googlegeist’, a survey that solicits feedback on hundreds of issues and then enlists volunteer employee teams across the entire company to solve the biggest problems. No surprise they can deliver what they do with half the staff of competitors. 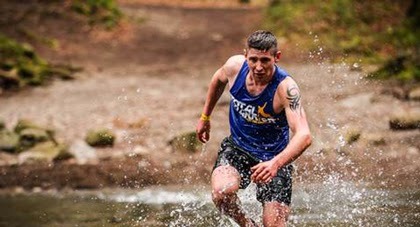 Chris Lightburn is a Cumbrian whippet and quite possibly the most dominant OCR (obstacle course racing) runner the UK has seen. At 5’7” and 11 stone, they call him The Shadow - no doubt a play on his name combining neatly with his physique! Out of 15 OCR races Chris has won 9 and hit the podium on 5 other occasions. And he’s only 20. Anyone who understands stamina sports knows competitors don’t tend to peak till their late 20s. He’s only getting started. Chris hit my radar after he approached a friend of mine, Malcolm Thorogood (appropriately named right? ), for help achieving his dream. Chris has a dream to be an international star. He’s got a winner’s spirit, knows the sport is taking off and wants to head the pack. Here’s a type who trains the house down because he’s never satisfied with what he’s already achieved. It’s all eyes ahead. With Malcolm as his agent and mentor, Chris defended the title he has already won – the Total Warrior Super 10 race. It’s a punishing course of obstacles over two days, 10km each. In 2012 Chris beat out 2,500 competitors. Last year it was 6,000. This year, over 10,000 people entered. Everyone wanted to knock off the local lad. My money was on them chasing The Shadow and Chris delivered. Numbers Or Friends: Who Do You Trust More? Cold analysis or subjective recommendation? Computer algorithm or human intuition? I don’t get to wander the aisles of a library, or seek advice from resident experts on what makes for good reading, but I remain unconvinced that an algorithm will ever be my preferred advisor over a recommendation from someone I know, who knows me. 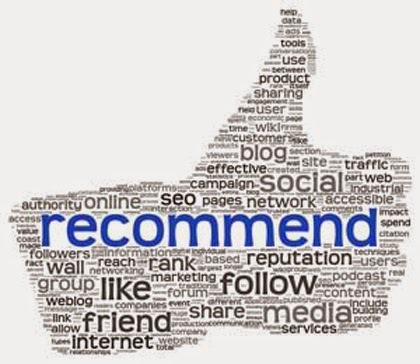 The question being posed today, is would you take an algorithm’s recommendation over an expert, or friend? Algorithms are marketing tools. They’re up-sellers. They judge our interests based on past behavior and suggest similar content. Problem is they have no personal stories or memories to draw on. Their recommendations are somewhat reflective of your own taste. If you’ve been searching for books on travel to Wales, guess what books Amazon will start recommending to you? It won’t tell you to rebook your flight and head off into the sun. Aside from the fact I think we need to maintain as much human contact as possible in an increasingly digitized world, asking the opinions of others comes with the added benefit of broadening our horizons. Given how heavily monitored our online presence is, with algorithms shaping everything we’re exposed to, including ads, there is a risk that we wind up living in these little bubbles where the only new ideas we’re exposed to are the ones that already fit with our world view. Academics call it confirmation bias. Few creative relationships are as memorable as that of John Lennon and Paul McCartney. Without the other neither may have become famous, and there would be no Strawberry Fields to Imagine. McCartney said in an interview earlier this year in The Atlantic that he and John wrote nearly 300 songs together. “I’d go to his house, or he’d go to mine, and we’d sit down for approximately three hours and try and write a song. And I realized we never came away without a song.” He goes on to explain that they nearly had one bad day, but after toying some lyrics for a few hours after a cup of tea they agreed to change the key line from ‘golden ring’ to ‘drive my car’… The rest is history. 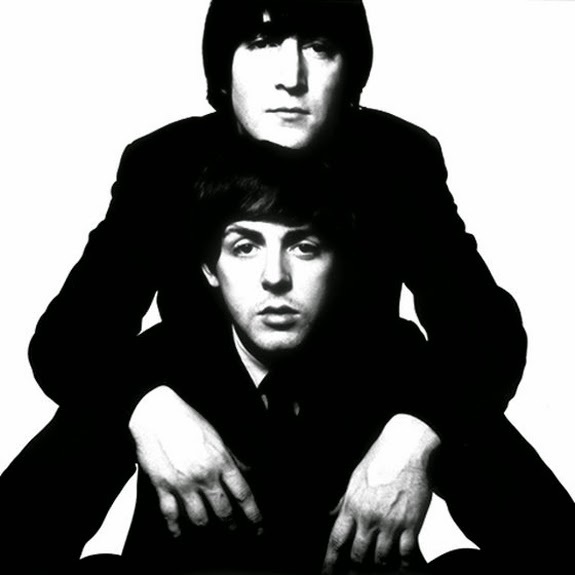 While many might wish to consider John and Paul as two individual creatives in the same team, their relationship disputes the myth of the lone genius. And so do the partnerships of Clarence Clemons and Bruce Springsteen, Larry Page and Sergey Brin, Sherlock Holmes and John Watson, J. R. R. Tolkein and C. S. Lewis. These are relationships that have changed lives, made history and created movements. I don’t doubt there are many real examples that show that individuals in and of themselves are creative powerhouses, but for the most part we have – and need - help. Optimism is often dismissed as false hope. But there is also false hopelessness. That’s the attitude that says we can’t defeat poverty and disease. We absolutely can. The commencement address at Stanford University is a stage for inspiring keynote speeches - Sandra Day O’Connor (2004), Steve Jobs (2005), Oprah Winfrey (2008) and Michael Bloomberg (2013) to name a few. 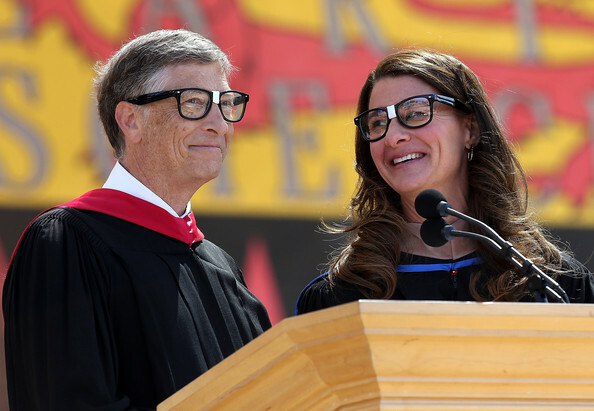 This year, Bill and Melinda Gates took the podium and used the opportunity to talk about the power of optimism. Those who have followed this blog know that’s a topic I’m particularly passionate about and their speech was truly inspiring. The Gates are driven by the heart-breaking scenarios they’ve seen first-hand, and the feelings of inadequacy and helplessness when confronted with suffering on the ground. They know they don’t have all the answers. Not yet anyway. But they believe in the power of optimism and the abilities of future generations to unleash a new wave of creative thinking. If their speech resonated with just a fraction of the audience and helped shape their future decisions, then the world will be winning. The digital world will never capture the intimacy of an in person conversation. Chat, email, text, Skype, whatever your online communication preference is, it has emotional limits. You can never truly gauge someone’s emotional state unless you’re in front of them. The nuances of tone and body language are crucial. Then come the eyes. The glisten of joy, or narrowed brow of fury. Unmistakable. They’re not referred to as the window to the soul for nothing. We all know the danger of trying to read emotion from a text message. More often it reflects our own mental state than the person we’re corresponding with. The brain is a master at convincing us of what we want to believe vs. reality. So trust the Japanese to invent a solution in the form of the emoji – literally meaning picture character. It’s a digital emotion and they are everywhere. There’s even an emoji parody of Game of Thrones. 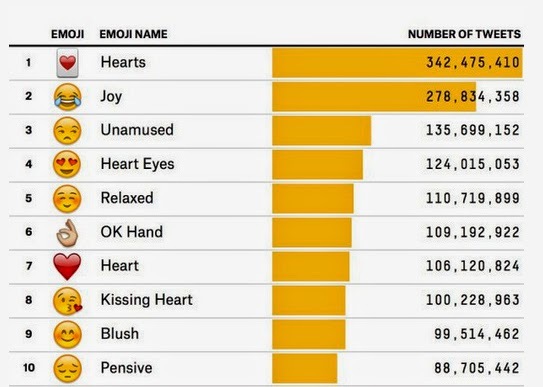 The good people at DataLab at FiveThirtyEight have nailed down the top 100 most popular emojis on Twitter. I’m sure you can guess what No.1 is. It’s a heart. People love to love. Secondly, they love to be happy (the joy emoji took the bridesmaid slot). Emojis sum us up so succinctly. We crave emotional expression, especially in a digital world. We want to know what someone is feeling, not just what they’re saying. In situations of war, messages of peace are usually drowned out. Out of the dire situation in Gaza comes a hopeful message. BBR Saatchi & Saatchi Israel has been vocalizing a message of peace for some years now with their Blood Relations campaign. This week comes another message: “We don’t want you here.” It is deliberately provocative until you realise the voices are from Palestinian and Israeli family members who have lost members of their family in the conflict. 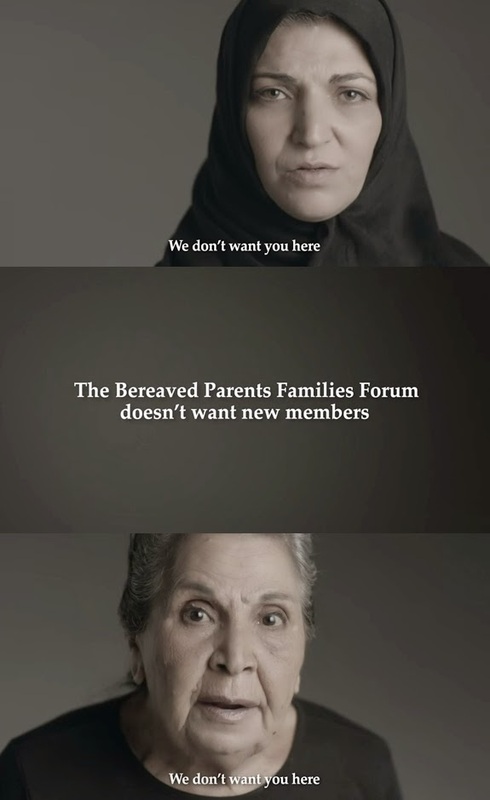 BBR have formed the "Parent Circle - Palestinian Israeli Bereaved Families for Peace" and their YouTube short film shows both sides wishing for peace and the ending of the killing and circle of war amongst the people in the region. The film is currently the most watched and shared video on YouTube Israel and has been covered on Israeli TV, BBC and Sky News and in leading newspapers in Israel, as well as international media such as Fast Company and several communications industry blogs. Achieving peace involves several practical steps including compromises, and the details of this are best left to politicians. Approaching peace however requires the will of people, and the BBR Saatchi film is a powerful step towards vocalizing the desire from bereaved family members from both sides of the enmity to stop the violence and see the possibilities for a better outcome. 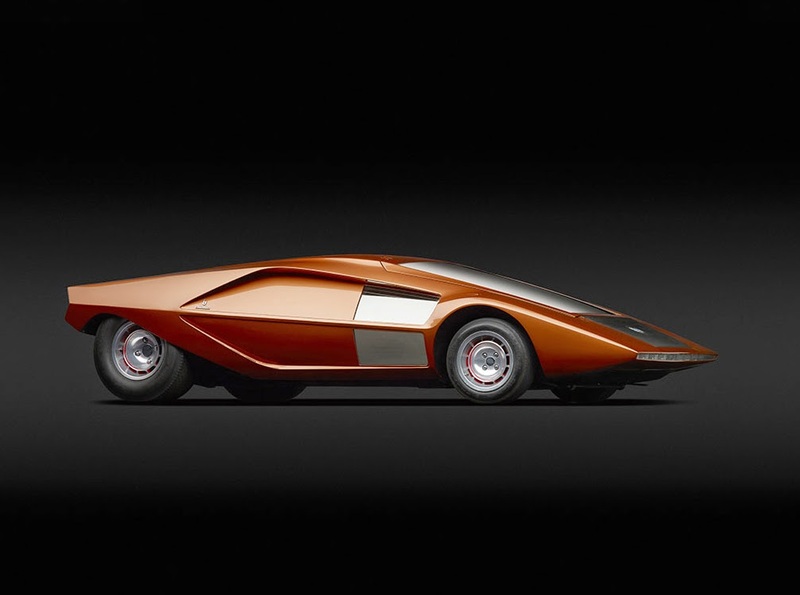 The High Museum of Art in Atlanta has an exhibition on now through to September 7 called Dream Cars: Innovative Design, Visionary Ideas. It’s a fascinating look at the cars we thought we would be driving in the future. There doesn’t appear to be as many engineers throwing out crazy designs like in the past, but here are five automotive features which we’ll probably be seeing in the (not to far) future. Self-driving: Since Google is already working on it it’s only a matter of time. But I see it more as an auto-pilot option. Men, in particular, will always enjoy driving. It’s the feeling of power beneath your foot and gripped in your hands. It’s irreplaceable. More importantly, it’s irresistible. Voice controlled communications: Your voice will unlock the car and start the engine. And it won’t matter whether you’re physically driving or laying back and relaxing, the full suite of comms capabilities will be activated by voice command. Video chat, internet search, movies, the works. Self-repairing panels: Forget those carpark prangs. Advances in materials will enable us to develop new metals that can restore their structure after absorbing impact. Unfortunate for panel beaters, but excellent for the rest of us. Rotating wheels: Attached to flexible axels, wheels will be able to rotate 90 degrees enabling the entire vehicle to be driven sideways. Parallel parking on a whole new level. Hover cars: The amphibious car already exists (thanks Alan Gibbs for nailing this), as does the Hover craft. Wheels will eventually become completely optional. This idea that creatives can’t lead is bogus. The image of creative people as loose cannons, introverted obsessives, or people who “live in their own world” disassociated from the real challenges of life faced by everyday people, is one for the history books. In the Age of Now creative leaders thrive and flourish. We live in a VUCA world and it’s the people who make it Vibrant, Unreal, Crazy and Astounding who are tasked and ready to Win. 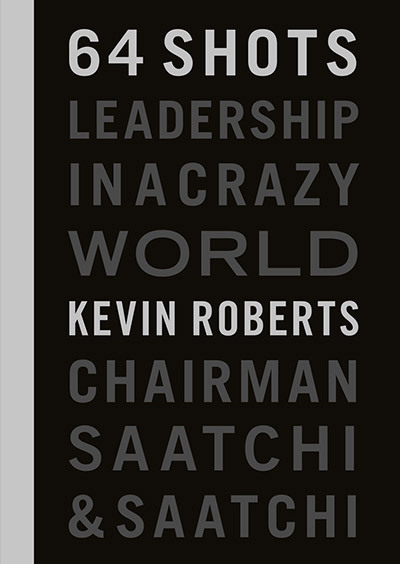 Creative leadership is about the possible. It’s about taking charge. Fail fast, learn fast, fix fast. Creative leaders start with language and they invent their own. They create a unique vocabulary that binds the group together. Whatever it is, the story must be founded on shared values to stay credible and relevant. Creativity is noisy and dynamic. It’s also contradictory. However, creative leaders are not a common breed. 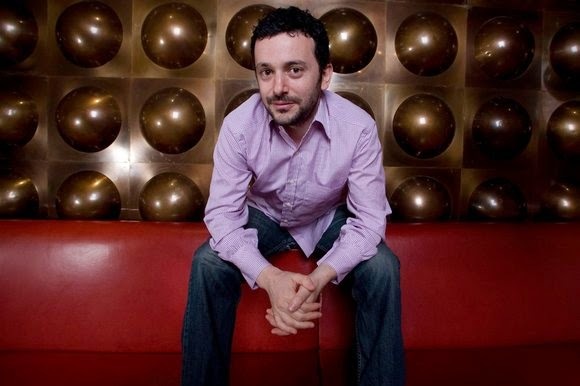 You are looking for a hybrid who is both visionary and grounded. A person with one eye on the Now and one eye on the Future. To find them you have to hunt them down – and that’s what Saatchi & Saatchi Bulgaria did when looking for a creative leader for their agency. For an unconventional candidate they knew that an unconventional approach was only fitting, so they created this online test to find that special person. The trick is that you have to finish every part of the test before you are even considered for the role, and let me tell you, it ain’t no walk in the park. With rugby sevens now an Olympic sport, the game is growing rapidly in the US. 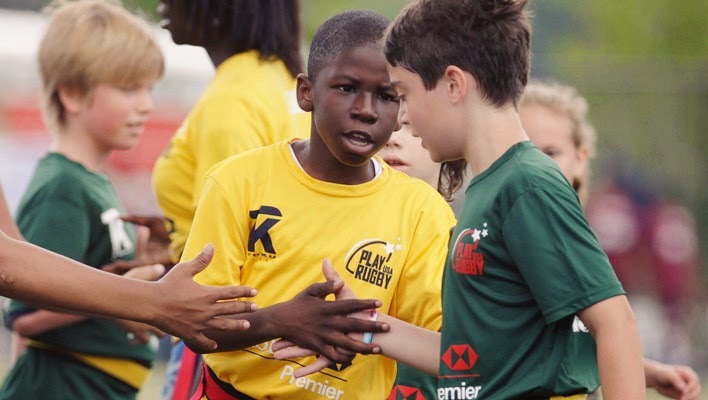 In New York City, Play Rugby USA organises an annual Rugby Cup and it is going from strength to strength. They have a saying that drives how they operate: ‘What’s your 10 moment?’ And it has nothing to do with Dan Carter. It’s about hitting the impact zone. A 10 moment is when you see a real result from the effort you’ve put in. For the Play Rugby USA team, it’s seeing kids picking up lessons in teamwork, getting pumped up about nutrition and nailing their events. It’s applicable to anyone, in any role. A 10 moment for me is seeing people be inspired and excited about what lies ahead. What’s yours? We are heavily influenced by numbers. Just how much might surprise you – and I’m not referring to superstition, even though it has led to the disappearance of the number 13 from hotels the world over. Salon recently ran an extract from Alex Bellos’ new book The Grapes of Math: How Life Reflects Numbers and Numbers Reflect Life, and I find it fascinating how our brains are easily swayed by the appearance of a 9 or 0. Bellos highlights the relationship we have to numbers and how we can be easily manipulated when it comes to shopping. We are all aware that retailers routinely use prices that end in 99c rather than a round number. He highlights the example of a Southern Brittany restaurant that had five pizzas on the menu. When one of the pizzas was reduced in price to €7.99, its share of sales rose from a third of the total to a half. All it took was one cent to make a difference. We also tend to view large round numbers as being more expensive than a precise one that is actually higher. Our psychology tends to assess it as being more carefully thought through, and therefore fairer. So if you’re selling your house, you’re better off putting the price at $431,935, rather than $430,000. The influence of numbers on our decision-making goes much further. In another study, experienced German judges rolled dice loaded to make up a total of either 3 or 9, having read an account of a shoplifting case. Those that rolled a 3 handed down a sentence on average of five months prison. Those that rolled a 9 were harsher, dishing out eight. Logic says that shouldn’t happen. It’s been said here before: reason leads to conclusions, emotion leads to action. 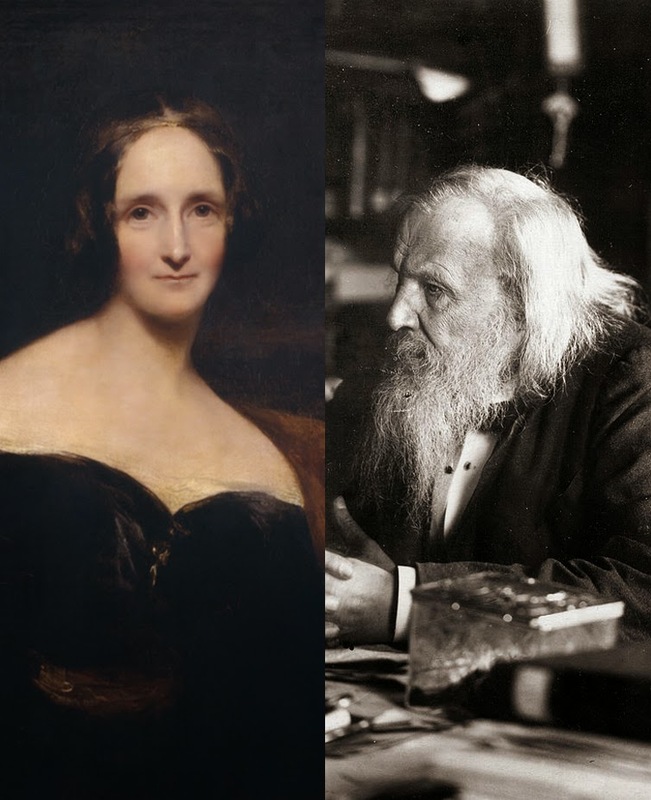 It was during her sleep that Mary Shelley (left) found inspiration for Frankenstein. A dream led Dimitry Mendekeyev (right) to create the periodic table, and a dream is credited with improving the swing of golfing legend Jack Nicklaus. Even if your slumber hasn’t led to a work of great fiction, the link between creativity and sleep is hard to deny. Studies have shown that a solid night’s sleep can improve problem solving skills by 50 per cent. While other studies have shown that a lack of sleep can impair brain performamce, therefore reducing creative performance. Creatives throughout history seem to be aware of the power that sleep can have on their abilities to create. This chart created by New York magazine from the bedtimes collected from Mason Currey’s book, Daily Rituals: How Artists Work, shows the sleep routines of some of the most creative contemporary and historical figures. It shows not only the how much sleep they get, but the apparent time of resting and rising too. Beethoven slept 8 hours (from 10pm to 6am). As does contemporary performance artist Marina Abramovic. Darwin slept 7 hours (12pm – 7am), with an hour siesta during the day. And though he went to bed and rose late, F. Scott Fitzgerald sleep 7.5 hours a night (from 3:30am – 11am). These times should be no surprise given his penchant for a Parisian soirée. It seems that not only is it important to get plenty of sleep, but it is also as important to have a solid routine. With consistency, your internal clock has the ability to know when you’re waking up, allowing for your last period of REM (our time for dreaming) to fall just as you are about to rise. No surprise that we are more likely to be creative if we wake during this time. Conclusion: Get the right amount of sleep, and do it like clockwork. But there’s also business sense in what he is saying. 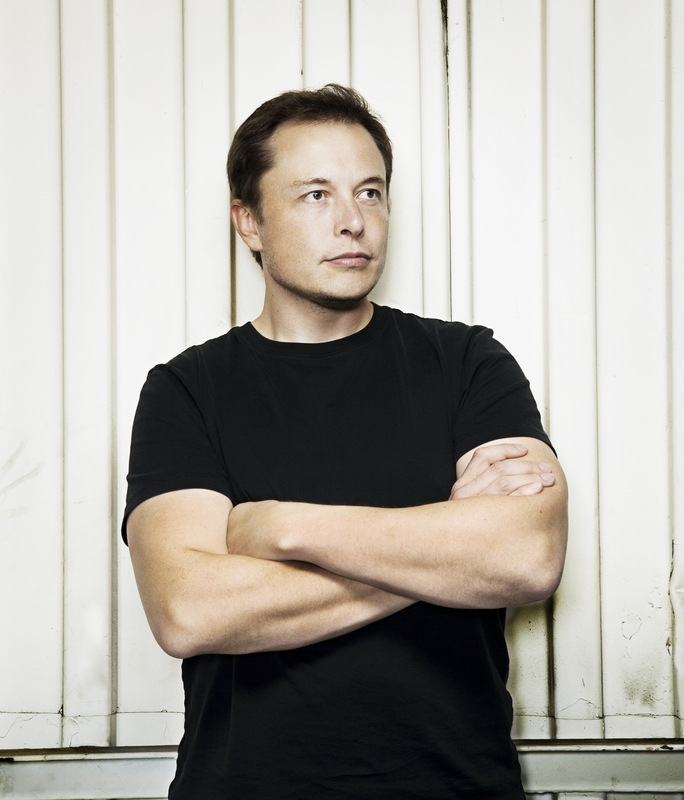 Tesla wants to revolutionize the automotive industry but one company can’t do it alone. 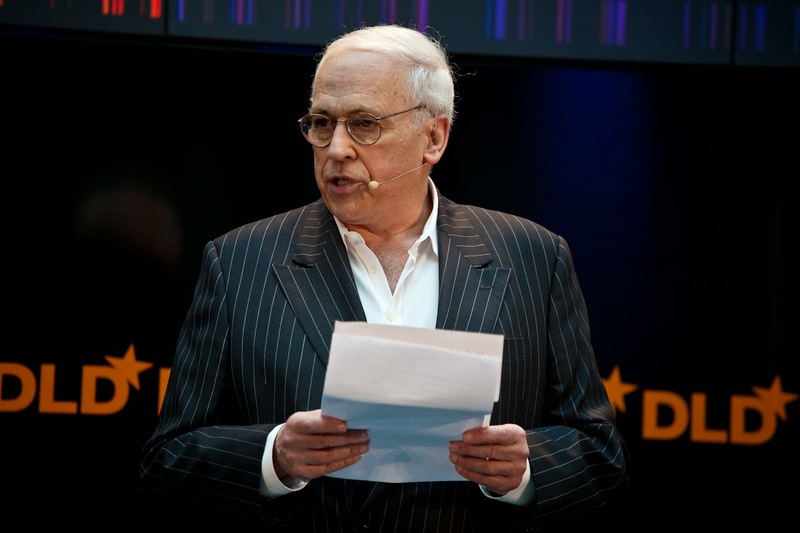 There has to be greater scale in order for a robust, competitive market to develop. We need an entire ecosystem set up to support full electric vehicles. With it, costs will drop, supply and uptake will increase. 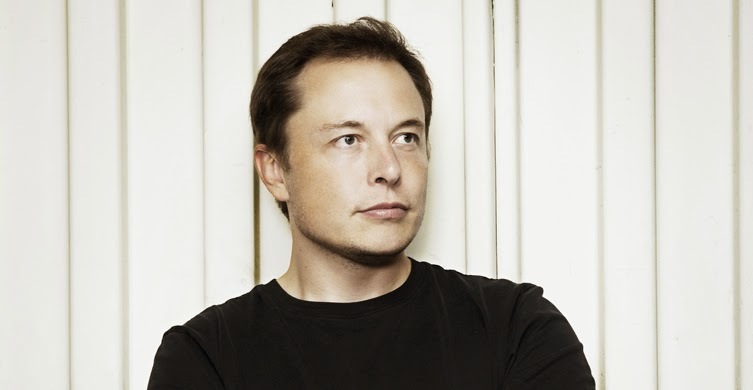 To witness that evolution Tesla needs big manufacturers to get onboard. Creative leadership is about thinking differently. Taking risks. Not being afraid to buck traditional wisdom. Real change-makers are disrupters. But they also know how to take the crowd with them. That’s what Musk wants to do. His share price took a hit initially, but not for long. He has a bigger picture in mind. And he is painting it. The world is full of worriers. I’m not one of them. I prefer doing. I’m an advocate of Making Things Happen. I could contemplate what I find most troubling in the world, but don’t think it would be a very good use of my time. The problem with so much of the world’s worry is that it focuses on micro issues and diverts attention which would be better spent on big things that affects all of us like the human condition, freedom of speech and the future of our ecosystem. John Brockman, publisher of Edge.org, and curator of many of the world’s brightest minds, has put together a series of essays on what they think should really keep us up at night. There are 150 essays in What Should We Be Worried About? Real Scenarios That Keep Scientists Up at Night, so here’s just a taste. British neuroscientist Kate Jeffery worries about our rarely challenged scientific efforts to overcome natural death. Boing Boing editor Xeni Jardin is concerned that the war on cancer has failed miserably. Anthro-archeologist Timothy Taylor is worried about Armageddon "not as a prelude to an imaginary divine Day of Judgment, but as a particular, maladaptive mindset that seems to be flourishing despite unparalleled access to scientific knowledge." MIT’s Sherry Turkle fears mobile technology has destroyed solitude. A number of writers worry that the information age is only cementing confirmation bias, and ideology will soon trump science. Refreshingly, Virginnia Heffernan writes that there is nothing to worry about. I have travelled to Japan many times and I’m often struck by the remarkable contradictions the country offers. The cities are all action; a blur of color, people, 24/7 bustle. And while Japan’s reputation is built on its technical prowess and work ethic driven by kaisen, if you look beyond the urban chaos there is genuine serenity to be found. I found such serenity on a recent trip to Kyoto. On a hillside overlooking the city sits Ōkōchi Sansō, the stunning, sprawling estate of actor Denjirō Ōkōchi, famed for his early samurai films. Ōkōchi’s star was at its brightest in the 1930s, but his legacy is these gardens that took him 30 years to build up and opened to the public after his death in 1962. I walked the grounds upon the recommendation of a journalist, Yuji Matsumura, who had interviewed me a few days earlier. He was right. To say they are beautiful is an understatement. Strolling across the grounds it was impossible not to be refreshed by the prevailing calm. 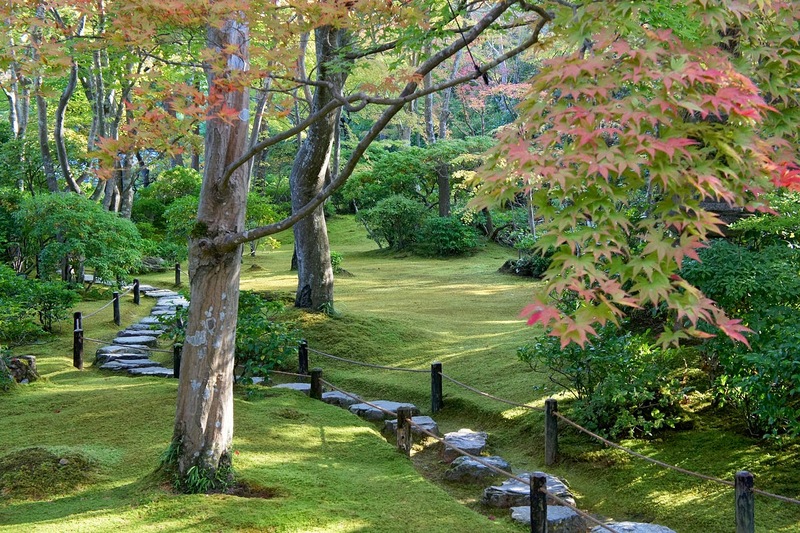 The various gardens were designed to show off each of the four seasons, with a Japanese style home, tea houses and shrines neatly imbedded. I experienced the best of summer on a soothing sun-soaked day, with unrivalled views of Kyoto, Mt. Hiei and the Hozu River to match. A brilliant morning. Highly recommended for all who visit this city. Thanks Yuji. One of the most inspirational people I have ever met is Wanda Ferragamo. At 92, she still goes to work every single day. And loves it. Wanda is matriarch of the Ferragamo family and guardian of the famous company in the name of her late husband Salvatore, makers of Italian luxury goods. Very few women would not know of their shoes, bags and clothing. Wanda has just been awarded the prestigious Marisa Bellisario prize for her career, which in Italy is a significant honor. 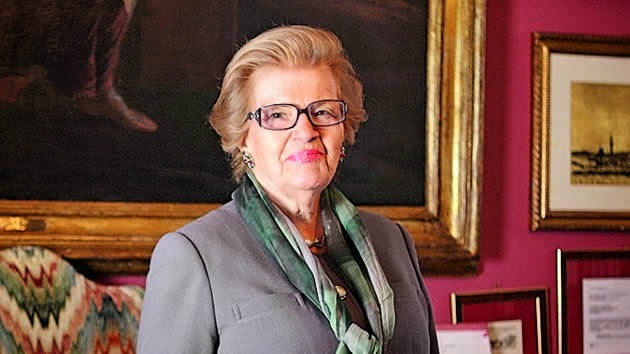 I was sent an article featuring her recently in Corriere della Sera, the Milan daily, and in it she talked of the challenges she faced following the death of her husband in 1960. She was, at that time, raising six children. The youngest was two. She stepped up to head the company in Florence, which at that time was focused on shoes, and developed entire new lines of products for which it is famous today. She thrived in what was then a man’s world, and in many ways still is. One of the stories Wanda tells of her husband is really touching. She says she often told him off for being overly generous. So I once bought a tile, with a notice on, which said “Do not act badly because it is a sin. Do not act right because it is wasted”, I left it in the bathroom so that he would have found it. He cancelled some words with a pen transforming its meaning to “Do right / do good even if it is wasted”. It was something she never forgot, and sought to enshrine in her company. An astounding woman with an astounding career. Brava Wanda. Brava. 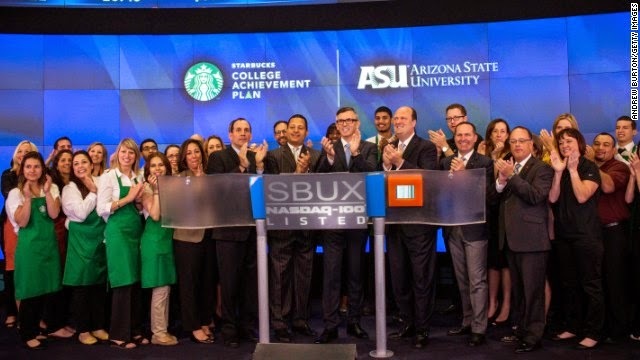 When Starbucks made the announcement that they were partnering with Arizona State University to give their employees the chance to obtain college degrees, the sentiment veered between “Great idea!” and “Terrific marketing tactic!” It’s not Either / Or. It’s more like And / And. What’s good for staff is good for the company, and I think what people are missing is that Howard Schultz is trying to give his employees some Responsibility, Learning, Recognition and Joy – not only in the confines of their jobs – but in their lives. College is incredibly expensive in the US and it remains a huge barrier for a lot of young people from attending college. Forbes reported only 9% of those from the lowest-earning families have the chance of earning a college degree. With the Starbucks College Achievement plan, Starbucks is rewarding employees who work over 20 hours a week with the opportunity of free or heavily subsidized tuition through Arizona State University’s online degree program. Will it lose staff in the process? Probably. But that was inevitable anyway. The difference is that Starbucks is going to attract more people who aspire to a better education and who want to achieve their dreams. It is also going to get people working on the inside to love the company as much as some of their fans do. 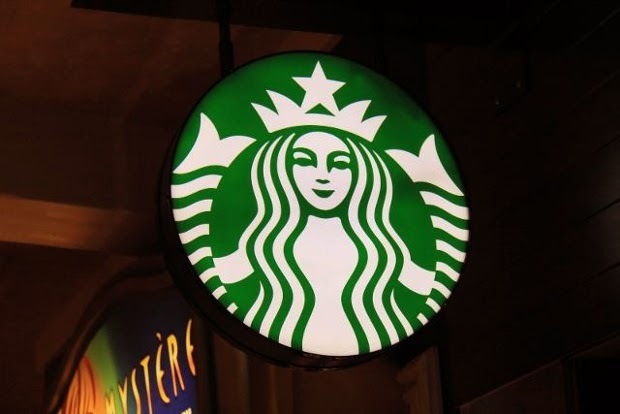 This initiative will create more Starbucks advocates who will champion the brand in the future because it was that very brand who believed in them first. Win/ Win. 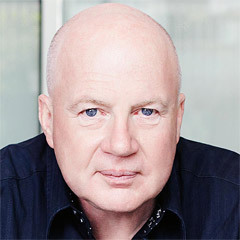 He has been called a poet, most famously by Van Morrison, though he doesn’t really like the word. Yet fans easily recognize the poetic beauty in Bob Dylan’s lyrics. His style is unmistakable. And while he might not call himself a poet, he can recognize his own talents. 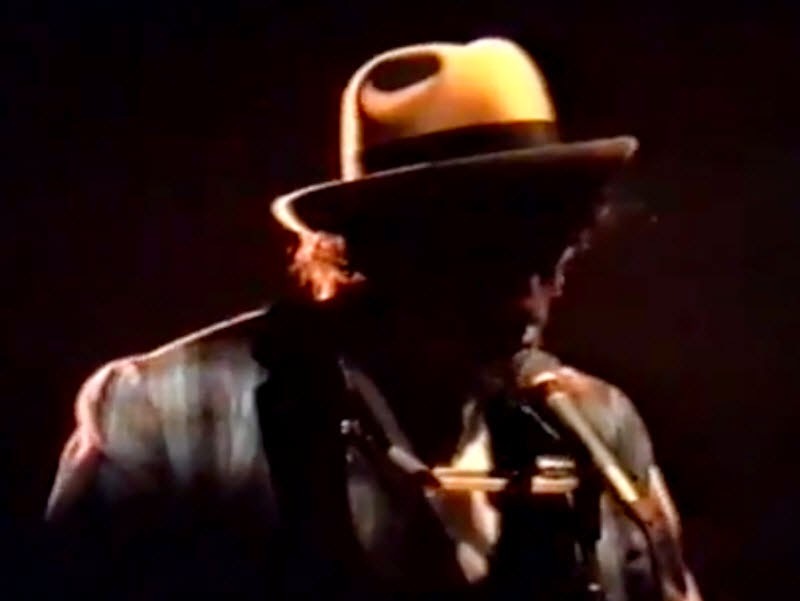 In 1991 Dylan gave a lengthy interview to Paul Zollo that is included in the book Songwriters on Songwriting. His insights into creativity during that interview are special. He talks about the importance of the environment to creativity; how we need somewhere peaceful, but invigorating; and how it shaped the songs he wrote. For Dylan, creativity is about accepting all the unconscious thoughts that enter the mind, and controlling them. Dylan’s words are no less relevant today. When you think about how much content we consume, it can be hard to sift through the daily clutter. Achieving the sort of clarity of thought Dylan talks about isn’t easy. But it’s crucial. For me, the right environment can be as simple as getting a moment at a nearby park, or having a quiet beer on a rooftop bar. A brief, unscripted moment of reflection is often all we need to pick out the ‘bad’ thoughts and let the good ones flow. It takes something very special to generate a quarter-mile queue. Shake Shack did it, despite having ‘the laws of the line’ seemingly against them. On offer was a gourmet, one-day only chef-designed burger as part of its 10th birthday celebrations. People stood in line for over two hours hoping to wrap their jaws around one of the 1000 burgers being sold. I’ve witnessed huge queues before, but never for a burger. Hunger normally trumps patience for most people and they balk at joining a line that’s 50 deep, let alone 500. 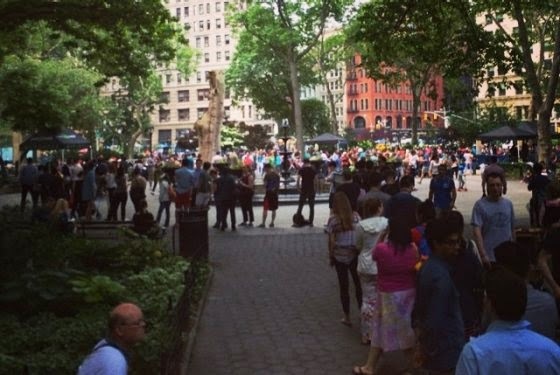 So how can you explain the Madison Square Park phenomenon? Well New York magazine sought the input of queue expert Richard Larson, director of MIT's Center for Engineering Systems Fundamentals. (It shouldn’t come as a surprise that we now have qualified experts on queues, yet somehow it still is!) And his insights, in this instance, make perfect sense. Shake Shack’s limited edition burgers were all about the exclusivity of the experience. The mystery of what awaited. Only 1,000 people would get to taste one. As the queue grew, it became something of an attraction in itself. Bragging rights for the people in it, who were no doubt taking selfies and posting Facebook updates. It was an event, which made it unique, and obviously tolerable. Whereas elsewhere Larson notes the secret to a good queue is making sure its inhabitants are distracted from the wait, so their attention is elsewhere and not just thinking about the wait. Not just that, but people need to know their patience will be rewarded. And that, at the end of the day, is what counts.